Proform ZT8 Treadmill literally provides a football field for your running space! OK, maybe I exaggerated, but what I was trying to say is that it has enough space/deck of 20’’ by 60’’; just enough for your legs to have its full strides and arms swing freely without fear of injury. Its features tick almost all the boxes and at a very good price. Actual users ‘reviews were in favor of this equipment and I can understand why. The motor is 2.75 Mach Z CHP model, what that means is that it has a powerful motor that is commercial standard and that can endure any pressure as a result of frequent use for workouts. It also has a 2-ply belt commercial belt that ensures that you can reach 12 MPH. Great for those that have issues with space or storage accommodation because it is foldable and compact, designed with easy lift assist. If you are a person that loves to workout with music this is a perfect match because it allows you to listen to music with its iPod enabled port. There are about 22 workout Apps with CoolAire workout fan and heart rate monitor that allows you to read and understand your workout progress. I guess I have to just do an overview of the features and pros of Proform ZT8 Treadmill so that you understand the features better. The frame and motor are protected with a lifetime warranty, 2 years for parts and 1-year labor. Now, I will try to explain some of these features a bit and anyone who does not understand please feel free to drop your question in the comment box below. 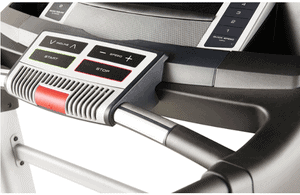 Console Design– This is an upgrade compared to the previous model Proform ZT6 Treadmill. It has become the advanced and improved model in its series. The buttons to be found on it are the QuickSpeed, Quick incline, and the onboard workout category buttons. The Quick Select controls the Train, Map, Compete, Set a Goal and Lose Weight IFit workout categories. There is also the 6’Backlit LCD Display screen that easily allows you to read your workout data and its design is so close to the Proform ZT10 treadmill’s Backlit Display. Data feedback has been displayed on the backlit LCD display are the heart rate, speed, distance, incline level, a number of calories burned, time, and mile track. Other features present on the console are the 2’’ integrated speakers which you will use in listening to music via the iPod compatible port and the CoolAire workout fan plus water bottle holder that will help to keep you hydrated and cool during a workout. Heart Rate Monitor– Just like the other ZT treadmill models, this one includes EKG grip pulse heart rate monitor without the option of a wireless chest strap. What this means is that you only have the option of the EKG grip pulse heart rate monitor which will require you to keep your hands on the sensor at all time if you wish to know your heart rate at all times. The disadvantage is that it will affect your workout negatively because it will limit the movement of the upper body. ProShox Cushioning– This is a design put in place to absorb much of the impact your muscles and joints face with every stride you make during a workout. As you may be aware of, long distance running can really hurt the joints, but the ProShox Cushioning can absorb some of the effects so that there will be less stress on the knees, ankles, and feet. 22 Workout Apps– These workout programs were integrated into it so that you can easily and quickly achieve your fitness goal. They are designed to target different muscle groups of the body. Poor customer service has been a regular complaint, but if you are purchasing please use Amazon and check the vendor rating in terms of customer service, that way you will be able to save yourself from the heartache of their customer service. It does not have wireless chest strap which would have been a plus because it would help to increase your workout performance. If you wish to read the reviews of actual users, you can head over to Amazon and scroll to the bottom of the product page. I think the Proform ZT8 Treadmill has a lot of great features and pros as you can clearly see above, although not without some blemish. However, the price is also right and I think the pros outweigh the cons, for that reason, I am giving it a thumb up. Do feel free to drop your comments below in the comment box. I am a fitness enthusiast and usually work out at home, due to various reasons. Now doing cardio at home is quite a challenge and hence venturing out to jog is the most frequent method that I use. The major hurdle that I face is the weather. I live in a place where it rains irregularly, so never know when I would have to cancel my plans. I would like to thank you for this post, as this machine is well suited for me. Doing cardio in the comfort of your home sounds nice and fun (I can even watch my favourite show!). Nice review, and useful info. That’s right Pushkaraj, the weather is another good reason why you should have a treadmill or elliptical. Anyway thanks for the visit and please feel free to explore our site for more equipment. I have been at the gym earlier in my life but almost never used the treadmill due to being bored when using it. Listen to music when exercising would make a difference, though. I didn’t like that i couldn’t move my hands if I want to monitor my heart beat. But as I said. Music is ok. The size may be a problem. We don’t have a big house. Thanks anyway for sharing this opportunity. Well, this equipment is foldable which makes it perfect for small apartments because you can always fold and put away. Great post, I hope that early 2017 I will eventually be able to buy my treadmill, every time I start planning for it, my sons school needs money for something. But I am determined that 2017 I need to start spending on myself and since I am big on fitness myself I really appreciate your post mainly because it serves as a reminder and I will be back here when I am ready to make my purchase. I understand Filichia being a family man myself. But if you can spend for yourself that would also be great because it is your health we are talking about here, if you are not fit enough to make money, then everybody will be affected even more, therefore look out for yourself even as you take care of the kids. I am still on the hunt for an exercise machine for the house. Is this machine also fold-able ? is that what it means as space saver? I like the music feature it has on it. Is there any space on the front to put an ipad or kindle so I can read while I am walking on it? As you can see, it is foldable and has enough space for iPad, however, it depends on the size of the device. I dun really do much cardiovascular running and I swim instead but the feature such as ProShox Cushioning which design to put less strain on your knee and joint sound attractive to me. Thanks for the visit anyway even though you are not a fan of the treadmill. 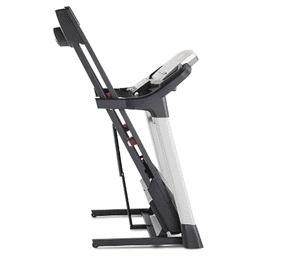 Nice review of this Proform ZT8 Treadmill. I can see many pros when it comes about this running platform, I do like the most the fact of being able to listen to music while running, for me running can be a bit boring at times so the music would be a very good company. Thank you Ruben for looking up our site and thanks for the comment as well. Really nice site! I share the same interests and have a large home gym with both resistance and cardio equipment. A site like this with good reviews of equipment can be invaluable to anyone looking to outfit their home gym. Look forward to keeping up with what’s new here. Thank you, Brian, I can understand that my hard work does not go unnoticed. Thanks again for the visit.